The South-East of France is such a diverse region. Of course, there is the Mediterranean with its gorgeous beaches and crystal clear water. However, don’t forget about the inlands. 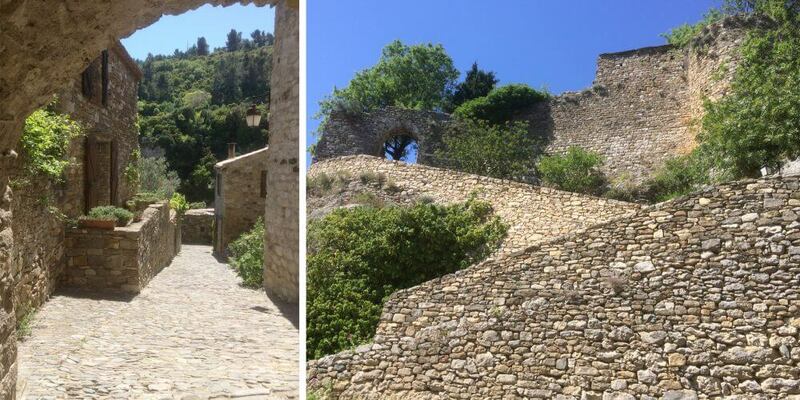 When you drive up the winding roads to the historical village of Minerve, you will be overwhelmed by the amazingly beautiful area and stunning nature. 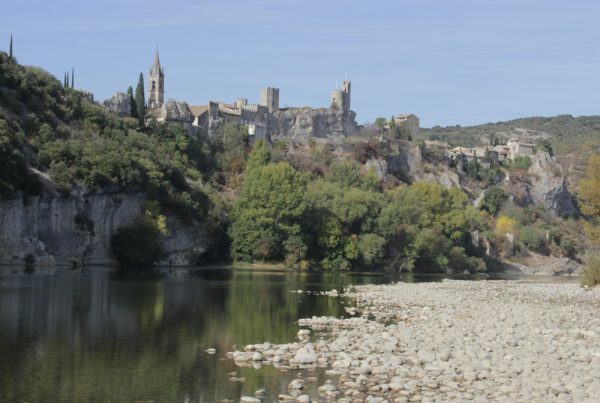 No wonder this village is designated as one of the most beautiful villages of France. 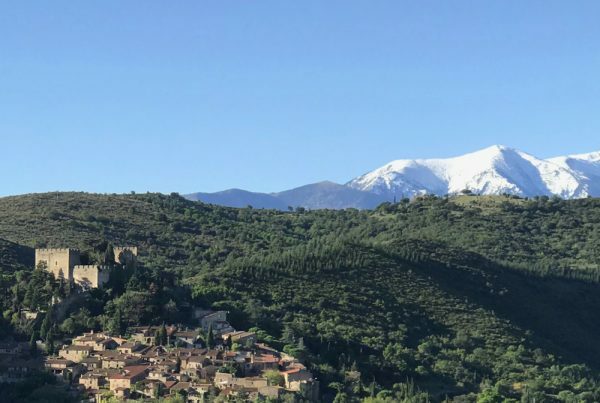 Being an ancient Cathar fortress, Minerve was naturally protected by the surrounded gorges that have been eroded from the place where the two rivers La Cesse and Le Brian come together. The village perches on a high ridge, which offered a naturally strong defensive protection. However, this position could not prevent 140 Cathars being burned by Simon de Montfort at the village square in 1210. 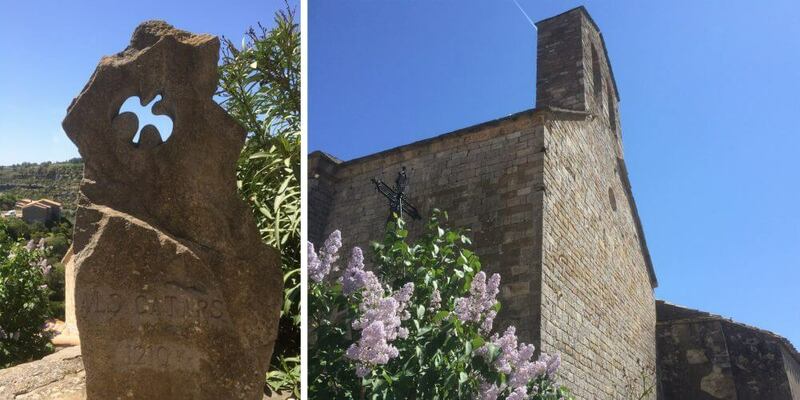 To remember the Cathar martyrs, you will find a memorial stone with a dove carved into near the church. 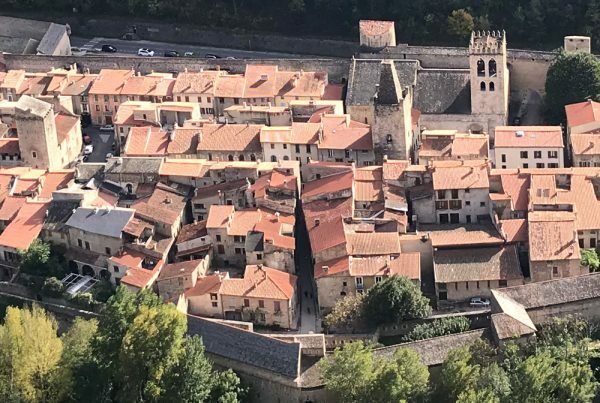 Minerve is very well-preserved, and it will bring you straight back to the Middle Ages with its curvy and cobbly streets. 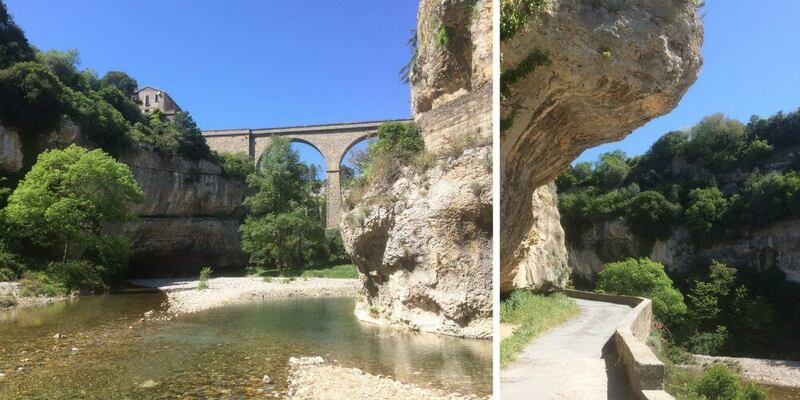 The village itself is a real joy to visit, but you can also go on an adventure by exploring the “Pont Naturels”, or the naturally formed bridges. To come here, turn right on the cobbled downward street, called Rue de la Calade, just after you have passed the tower, or “La Candela”. 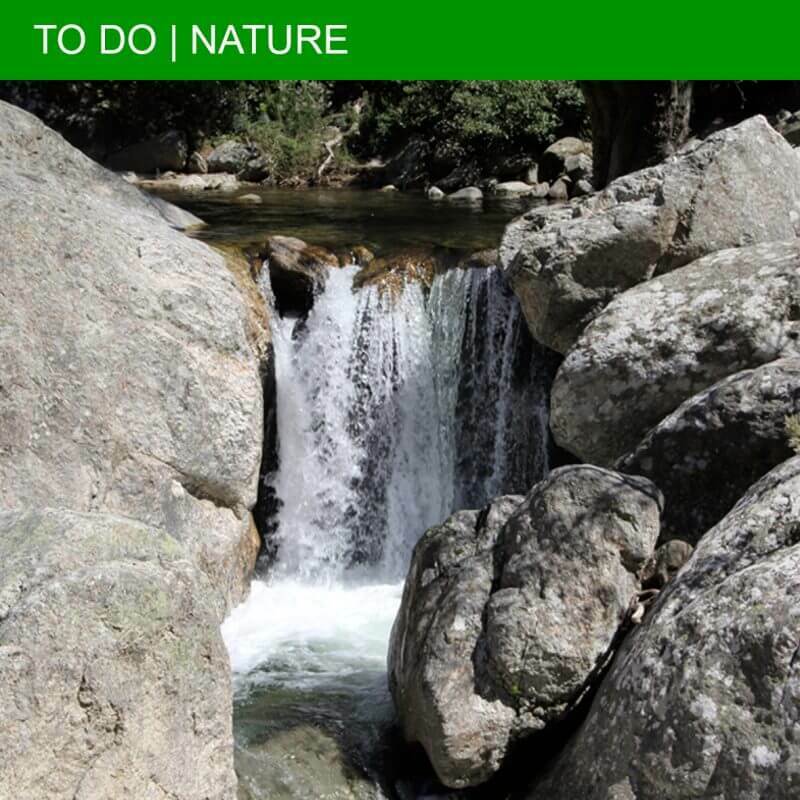 Follow the signs, and you will come to the river by the “Poterne Sud” – the South Postern. 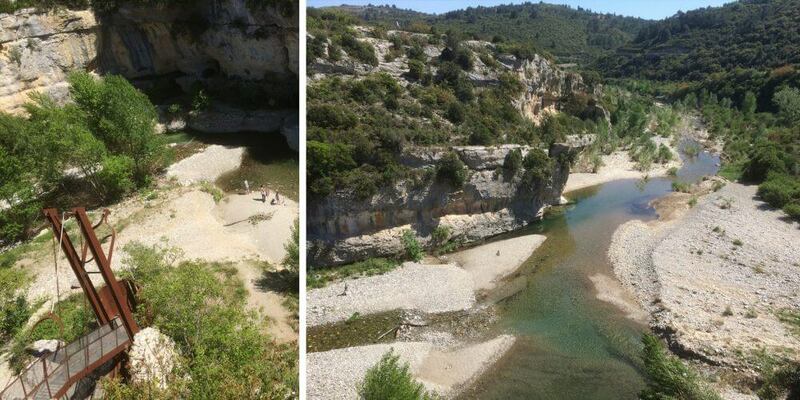 If the water of the river Cesse is not too high, you can even go through the tunnels. The small bridge is 110 meters long and the big one 250 meters. Very impressive to see, especially if you think that these natural bridges were formed millions of years ago. 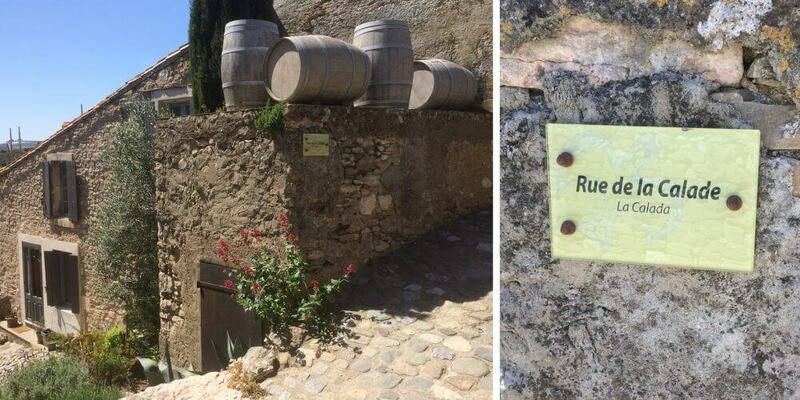 If you walk back to Minerve by the other entrance, you will encounter a bad neighbour. Back in 1210, Simon de Montfort encircled the village for six weeks by placing four catapults around the ramparts. The largest catapult, named “Malevoisine” – meaning bad neighbour – was set up to destroy the most important water supply: the San Rustic well. In the end, Viscount Guilhem of Minerve and most of the villagers surrendered. Except for the 140 Cathars, who refused to give up their faith and were burned to death at the stake. Fortunately, Minerve is not only known for this tragic history. You can end your visit with some fine wining and dining at one of the delightful restaurants. 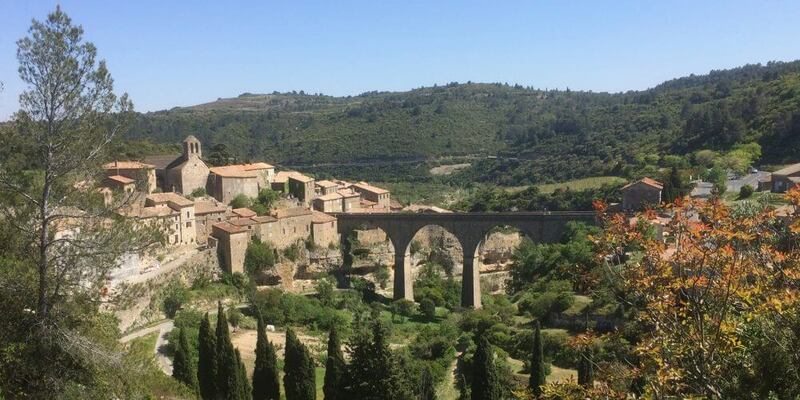 Minerve is one of the most beautiful villages of France, according to the official organistion “Les Plus Beaux Villages de France”. When visiting Minerve, you will automattically be directed to the (paid) parking lot. 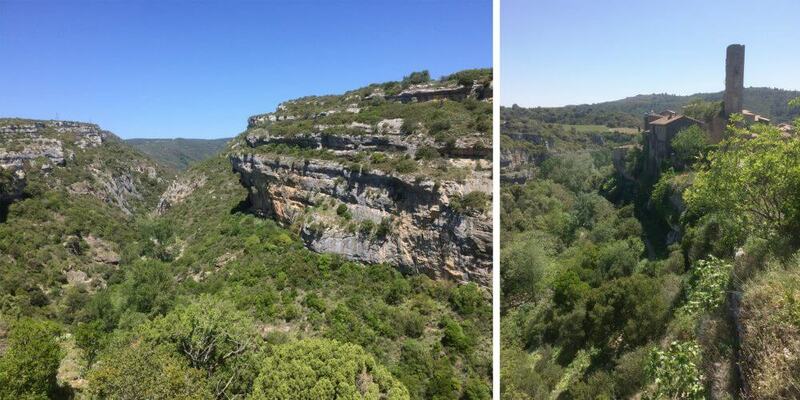 From here, you walk easily into Minerve, enjoying the stunning views.